Best Urban Contemporary Album is one of the three new awards for the 2013 Grammy Awards. It’s actually an old award (Best Contemporary R&B Album) that has returned to the ceremony under a new name. For some reason, the Recording Academy was only able to collect three nominees for the category instead of the usual five. While that’s peculiar, the three nominees they chose are outstanding and will provide tough competition. At first glance, Frank Ocean seems to be the favorite. His Channel Orange was the critical choice as best album of 2012, and Ocean is also nominated for Album of the Year and Best New Artist. That sort of acclaim and attention is well-deserved and will be difficult to overcome. Difficult, but not impossible. 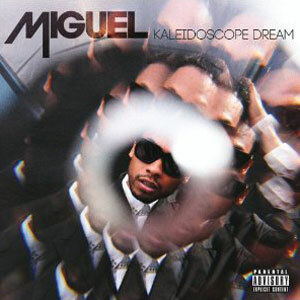 That’s because Miguel’s Kaleidoscope Dream was a terrific soul album, and its lead single “Adorn” was one of the best tracks of the year, even if it was just “Sexual Healing” part 2. In any other year, this would be Miguel’s award all the way. There’s also the matter of who’s doing the voting. While the larger music world loves Frank Ocean right now, his reception within the R&B community has been lukewarm. He’s not getting a ton of radio airplay, and he’s been overlooked by many award shows. The NAACP Image Awards, for instance, just stiffed Ocean entirely while giving nominations to complete nobodies like Melanie Amaro and OMG Girlz. And we can’t count out Chris Brown. Though Fortune wasn’t his most successful album, he’s still Chris Brown, the tremendously talented and commercially successful performer. Grammy voters seem to have forgiven Brown for his assault on Rihanna, because they awarded Breezy with Best R&B Album last year for F.A.M.E. That was Brown’s only career Grammy win in 11 nominations. Our prediction? While it’s tempting to call for a Miguel or Chris Brown upset, we think Ocean will edge out his adversaries to claim the trophy, but don’t be shocked to see an upset here. See the list of every Best Urban Contemporary Album nominee and winner in Grammy history.